Nine years into the drone program, it is now clear that while drones are useful in keeping al Qaeda and its affiliates off-balance, the assassination of operatives by unmanned aircraft has not led to the demise of the organization or its virulent ideology. The accelerating use of drones in Yemen, as well as the recent resumption of airstrikes in Pakistan, has highlighted the US' increasing reliance on the unmanned vehicles to target enemies such as al Qaeda in a "covert" program. The new focus on drones raises a number of important issues, not least of which is the soundness of basing a military strategy on something that is merely a tactic. Some independent experts, however, were more cautious. "Killing the top leadership harms Al Qaeda, but it won't defeat them," said Bill Roggio of the Web site Long War Journal, which tracks drone strikes in the tribal belt, among other topics. "There are people who will step up to fill the void. Al Qaeda has a far deeper bench than the administration gives it credit for." Mr. Roggio said that while drone strikes offered an attractive short-term tactic against Qaeda militants, they did not present a complete strategy. "Until we tackle Al Qaeda's ideology, state support and ability to exploit ungoverned space in countries like Pakistan, Somalia and Yemen, you're not going to defeat the organization," he said. Nine years into the drone program, it is now clear that while drones are useful in keeping al Qaeda and its affiliates off-balance, the assassination of operatives by unmanned aircraft has not led to the demise of the organization or its virulent ideology. During both the Bush and Obama administrations, US officials have been quick to declare al Qaeda defeated or "on the ropes" after killing off top leaders, only to learn later that the terror group has refused to die. Instead of being defeated, al Qaeda has metastasized beyond the Afghan-Pakistan border areas, and has cropped up in Yemen, Somalia, North Africa (including in Mali), and even in the Egyptian Sinai. Other close allies, such as the Al Nusrah front in Syria, and Boko Haram in Nigeria, threaten to join the global jihad. Al Qaeda and affiliated Islamist terror groups operate not only in remote, lawless regions, but also in populated areas. A positive result of the so-called "Arab Spring" is far from assured. What happens if al Qaeda cells become established in Cairo or Tripoli? 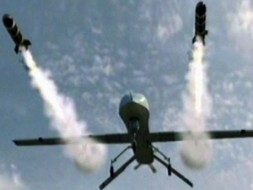 Does the US intend to drone its way out of this problem by conducting strikes in major Arab cities? And relying solely on the drone program as a strategy to defeat al Qaeda is troublesome in other ways. A supposedly covert operation is anything but, and the US government has done a poor job of justifying why this program is necessary to keep the US from getting attacked again. This evasion has led to public relations problems both domestically and internationally. Instead of carefully explaining the need for the program, Obama administration officials leak information about the program to select officials in an effort to project toughness against al Qaeda. This is why articles such as "The Kill List" emerge, which may play well to the majority of Americans who want a president to be tough on al Qaeda, but which create a public relations nightmare internationally as the US government is perceived as directing an assassination program from the White House with little regard for international law. The US is also widely viewed in the Muslim world as running roughshod over the sovereignty of Pakistan and Yemen by conducting these strikes. This perception is particularly problematic in Pakistan, as the government has quietly approved the strikes and yet publicly denounces the US for conducting them. This apparently duplicitous behavior feeds into al Qaeda's narrative, and provides a recruiting boost to the terror group. For more on the drawbacks to the way in which the US government has handled the drone program, see Droning On to watch an interview on CSPAN from last month.